The combination of the Nevis Bluff and the Kawarau gorge with its thunderous rapids barred the way to the Wakatipu goldfields until a road was cut in 1866 around the Nevis Bluff. Later, a fine suspension bridge was built on stone piers in 1880. This superb structure can be seen today alongside the modern highway, just 18km from Queenstown. 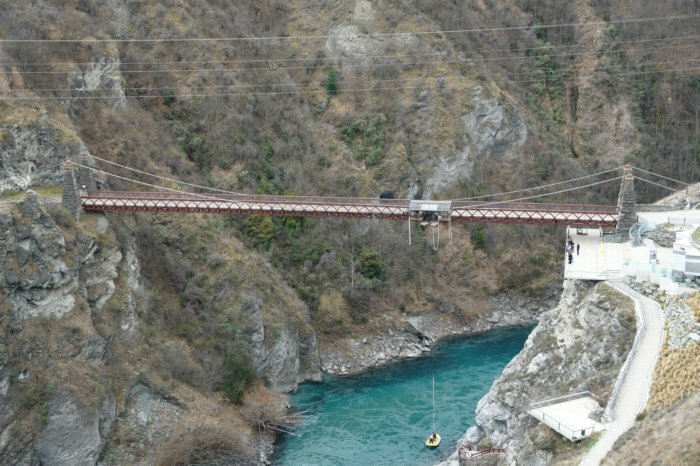 The bridge is used now only for bungy jumping, and heritage appreciation.